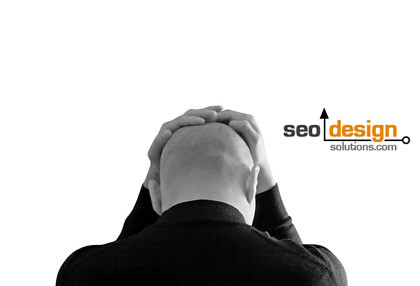 Need a way to curb frustration while you are waiting for your SEO and rankings to kick in? Try implementing any of these 20 basic SEO tips to cut down on time to market by building pages right in the first place. 1. Select a page for each competitive keyword you target. Sounds simple enough right, ironically, so many sites do not have a sufficient array of landing pages or supporting pages to rectify the range of traffic they anticipate from keywords. If your website lacks (a) enough content to cross the tipping point or (b) significant internal links (since your own website can rank itself), then how can you expect to surpass competitors who are using vast amounts of topical content to tip the scales of relevance in their favor. 2. Link to pages from other pages with the “keyword” you want the target page to rank for. Just like Wikipedia, by linking to a “champion page” with a designated keyword consistently through using keyword-rich anchor text, you elect the target page to appear in the search engine result pages like votes in a democratic hierarchy. 3. Optimize the page for at least 3 variations of the keyword, singular, plural and a potential synonym. Why waste time, effort or energy? 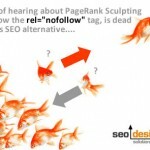 If you are going to optimize a page anyway, why not get 3-5 alternative keyword rankings while you are at it. Try the main keyword in “exact match” first in the title, then a plural and / or alternate keyword modifier to reinforce relevance. 4. Map out how many internal links you can implement from within the site. Each keyword has a tipping point. Some keywords need 10 pages of content with internal links, others need 1,000. The key is to not look past your own website for ranking factor and pass the link flow within your own pages first, before building external links. 5. Determine how many deep links are needed over what period of time. Some pages need 5-10 deep links to capture their keyword objectives, others require hundreds to gain enough authority. Your on page and off page SEO must intersect with relevant or related keywords in order to steer which pages rank for what terms. 6. Don’t keep changing things like titles and tags until the page or site has authority. The title tag is one of the most primary indicators of relevance that search engines use to identify the context of that page. I have seen rankings rise or drop 30 positions from just one rookie or expert move of changing this important metric. Its better to set it and forget it and build it right from the start than going back to undermine trust which is the precursor of rankings. 7. Rankings are based by the page, not by the site, so optimize EACH page in your website for something unique. Why do you think you can see two pages from one site in one group of top 10 results? Because there was more than one page that qualified for that keyword. With a sub domain or RSS feed as a sub domain, you could potentially capture a few more positions in the top 10 or increase conversion by 200% by having more landing pages for consumers to select from. 8. Add fresh content to augment crawl rates and trust. 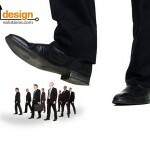 Crawl frequency indicates the degree of authority your website has online. If search engines crawl your pages daily, then you have an opportunity to devour competitive niches by constantly chipping away at themed keywords that are part of a keyword cluster. The more pages you have indexed, the more rankings you can funnel to your website. Pages equate to power over time. 9. Use Google webmaster tools to check crawl rates and site stats. Thanks to Vanessa Fox, Google webmaster tools has tons of great website diagnostic tools to assess crawl frequency, 404 errors, the ability to determine what keywords you rank for, observe the link graph or deep links to your site or the ability to upload sitemaps to expedite crawl rates. 10. Acquire trusted links over time rather than lots of low quality links quickly to master link velocity. 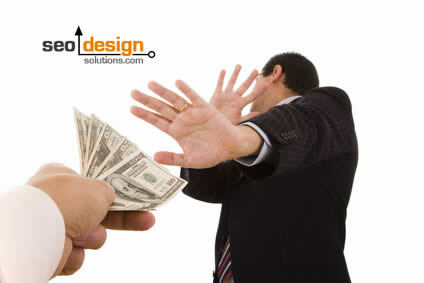 Every website has what is considered a natural rate of acquiring or losing links. If you lean into link building blindly impetuously for results, you could penalize your website and end up on the 6th page indefinitely. Take your time and focus on quality over quantity when it comes to building links. 11. Observe analytics to find which keyword patterns arise first. Consumer behavior can change in an instant. 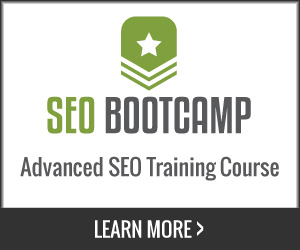 You will need analytics to determine which keywords are converting and which to leave behind. Measuring your progress by setting goals and identifying local, regional or national patterns for keywords will allow you to make real-time adjustments to your campaign to capitalize on website authority as it develops. 12. Once movement occurs, then build on those miniature keyword victories and ball roll them into the next tier of competitive keywords. Start with keywords within your reach, acquire them and then move after the next branch. Only go after the low hanging fruit until your site is strong enough and trusted enough (as a result of the top 10 rankings) to topple more competitive terms. 13. Make major changes over time to avoid tanking your rankings, trust and page integrity matters. Trust, meaning consistency is another metric search engines use. This is why it is possible for aged websites that are grandfathered into the search results to rank very easily; even if they are optimized or not. The takeaway here is to leverage trust by leaving older pages alone with the exception of building a few internal links) to harvest their inherent ranking power. 14. Makes copies of pages so, if something breaks, you can upload the previous version. If I had a dime for every time something broke and I wish I had backed it up. Trust me on this one, always keep a copy, just in case. Especially when your changing .htaccess files or other sensitive settings. 15. A website can only rank for keywords once the pages are indexed, it’s better to build them right than have to fix them and wait to get re-crawled and indexed. Why operate from the “broken page” mentality? If the code is dated, 301 redirect it to a clean new template or just start fresh with an optimized content management system. This way, as the site grows, you don’t have to “optimize it”, you already did when you published the page as a result of SEO web design. 16. 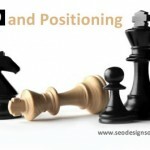 Give SEO time to kick in, crawl rates and rankings are based on popularity and site structure. If your site lacks either, expect changes to take longer to make impact. If you want to rank faster, do something remarkable. Trigger a social media stampede, get a trusted link from an authoritative source “software directories, widget creation, create a useful online tool, etc. Search engines use traffic and engagement time to validate which websites are hubs and have high crawl and index frequency. 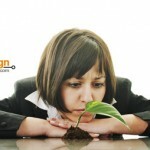 Our website can rank in the top 10 in less than 15 minutes from the time we publish a post. This is the result of years of building rapport with search engines. If you want to expedite the process, be innovative or simply allow the process of the multiple layers of SEO to overlap to produce the desired effect. 17. Make sure your website has selected a default index page as well as dealt with any canonical issues. For example, being able to find http and www versions of your site are not acceptable. Choose one or the other and use a .htaccess file to consolidate the page preference on the server level. Why hemorrhage link flow or ranking potential from canonical and / or duplicate content issues? Set the server header defaults to resolve to either www or http for your domain. Also, don’t forget to 301 your index.html or default.htm page to the main domain name to get maximum effect for positioning by consolidating the aggregate flow of page rank. 18. Build links evenly to both the homepage and using deep links (meaning linking to specific pages with specific keywords). The proper deep link ratio depends on which keywords are more important. 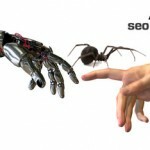 Less diversity to rank for specific keywords, more deep links to deep pages in the site to promote keyword stemming. We typically employ 60% of the links to the home page and 40% to the rest of the site via deep links, however, each situation is different. 19. The fastest way to get into the top 10 for a keyword is to get a link from someone already ranking there. This is called ranking by affinity. Similarly, you can pull other pages in your site up once your individual pages start ranking in the top 10 for specific or related terms. Think of this like the buddy system, each page that ranks in the top 10 for whatever keyword is now an authoritative page. That page can now rank other related pages and pull them into the spotlight. If you understand the implications, then sky is the limit on this tactic of ball rolling pages like a juggernaut to crash through the boundaries of your competitors relevance score and inherent barrier to entry. In other words, spread your execution over time; don’t try to overcompensate for getting started late. Slow and steady wins the race, but targeting the proper terms in the first place is the more important and critical SEO technique. All of these tips may seem redial from a distance, however, using each one at the appropriate time, in the appropriate context can either leave your competitors in the dust or give you an added boost when you need it. 10 SEO Tips to Shorten the Time to Rank! SEO is All About Performance! is the sblog (spam blog, dummy blog with a lot of links to a page) can help increasing rank of the page? I would not recommend it. Scraped gibberish does not pass value. Create unique content instead and post new content frequently if you want to increase rankings. Found your blog thanks to Kev from SEO Ibiza. Thanks for the post. Very informative check list before the launch. The preliminary step is aim to maintain the site simple, understandable and translucent to attract visitors going in to your page and so bringing them closer to buying a product. Good tips. Even down to the never give up. SEO takes time to learn and time to implement, often time for Google and other search engines to find your site, and time to rank it. Just work on articles, press releases, backlinks, rss, on page SEO, etc… and you will start to understand what it takes to rank a website. You have to be patient and think four to five levels deep, like a good game of chess (to topple the top 3 results). A systemic approach backed by persistent action is what it takes to capture a coveted industry keyword. Loved your article and especially the starting points mentioning and focusing on internal site structure. It is known for a fact that one internal link is as powerful as a link from another site so our structure plays a very important role on getting more “juice” for our site. and tell me what you think of it.